42 year old male from the UK. I’m a Science Teacher in a sixth form college. I’ve been playing WoW since May 2005, with a hefty break from early Wrath to late Cata. I also try to find time to play other Fantasy based games. They are pretty close together for Ret, so it varies depending on relative amount of other stats and the content. Haste and Mastery have been the ones you’d want more of in general this tier, though. Mastery got a big boost from the buff to Judgment just before Antorus became active, and the 2-set bonus also increases its damage by a large amount as well. Having a little more haste this tier makes maintaining a high uptime on the legendary cloak buff easier, when it was possible to switch into that. There is no variation in talent choice for the current tier. In terms of DPS talents: Final Verdict, Greater Judgment, Blade of Wrath, and Crusade will all produce the best useful damage. Other talents are just useful for meter whoring. In terms of utility talents, the stuns are of almost no use in Antorus, but I’ve occasionally used Word of Glory before getting hit by the Aggramar Technique or at certain points of P3 Argus. Generally not used because of the significant loss of damage, however. I am in daily contact with the senior Ret theorycrafters, rare contact with the spec designer and do a fair amount of testing myself. I raided from Molten Core in Vanilla, clearing up to but not quite including Gothik in Naxx. 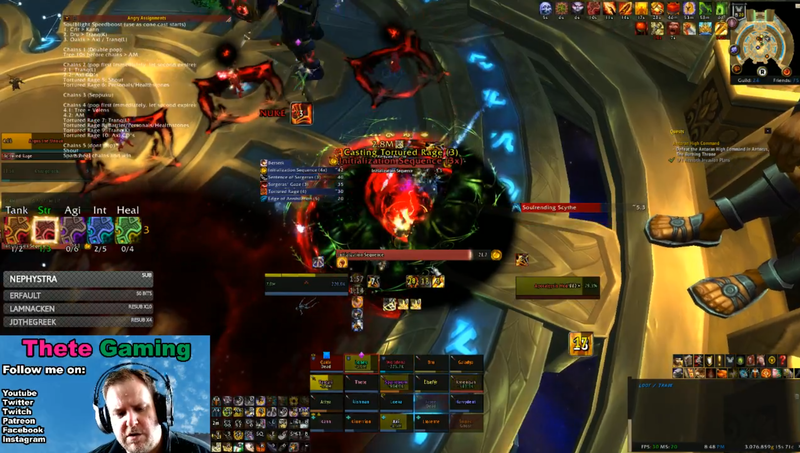 As soon as the date for TBC was announced, the guild stopped raiding. I cleared everything in TBC, including BT before SWP launched and SWP several weeks ahead of the pre-Wrath patch. After completing all the tier 7 raid bosses in a few nights, and before I’d even done all the dungeons, I quit the game thinking that was going to be the pattern of raiding in Wrath. Eventually came back to the game at the end of Firelands, geared up in the catch-up dungeons and joined a guild for Dragon Soul. Guild collapsed during the first tier of MoP, so that was a mixed bag, but cleared the other tiers on heroic mode in a reasonably timely manner. Completed all of WoD raiding at mythic level in time for CE and mostly the same in Legion, except missing out on the CE for KJ. In Legion, I left a too large roster in the guild Echoes to join a guild on the Maelstrom called Challenged. We remade the guild into Murloc Death Squad for ToS but the guild only just scraped CE and I missed it with a parents’ evening at work. I joined my current guild of RR Inc to try and get a more reliable CE but the progress still takes too long. I’ve been used to progress where CE isn’t even a consideration and the ambition is really how quickly the content can be cleared. It’s quite exhausting going through an entire expansion on progress mode all the time. It doesn’t give time to relax between tiers, and you can’t give full focus to upcoming bosses in the weeks ahead of a new tier when you are still progressing the current one. I am looking to getting back into the mode of having that buffer between tiers, and also more time to do all the extra content Blizzard seem keen on us completing outside of raids. Fully focussed on mechanics, with no damage meters on my screen during progress. I also define progress as when there is any boss in the tier that hasn’t fallen, not just the one we happen to be on. I am also vocal about issues I notice in the fight, and question why things have to be done a certain way if it seems inefficient. I expect a progress focussed team. Learn mechanics, then worry about DPS when a DPS check is failed, then worry about parses when the content is complete. I managed to beat your captcha. It put up a fight, but was no match in the end.